Londoners have lent their support to plans by the Mayor of London to tackle pollution in the Capital. Figures published on an initial consultation run by Sadiq Khan on measures to crack down on polluting vehicles show that 79% are in favour of bringing the Ultra Low Emission Zone forward to 2019 while 71% believe it should be expanded to the North and South Circular. 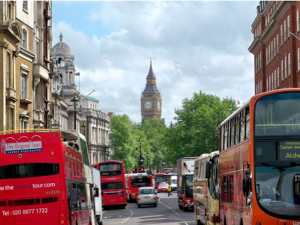 The results also indicate widespread support for the Mayor’s call to Government for a diesel scrappage scheme while 81% of respondents supported proposals to implement an early £10 Emissions Surcharge (dubbed the ‘T-charge’) on the most polluting vehicles entering central London from 2017. This charge would apply to all vehicles with pre-Euro 4 emissions standards – typically those registered before 2005 – and would cost an extra £10 per day on top of the existing Congestion Charge. Sadiq Khan said: “A record number of Londoners responded to our consultation, which demonstrates they feel just as strongly as I do that cleaning up the capital’s killer air has to be a major priority. The consultation results are now being used by City Hall officials to shape the next round, which will start next month for 10 weeks and will include a more detailed and specific consultation on the T-charge – ready for implementing in 2017.